1. Algvere PV, Marshall J, Seregard S. Age-related maculopathy and the impact of blue light hazard. Acta Ophthalmol Scand 2006; 84:4-15. 2. Taylor HR, West S, Munoz B, Rosenthal FS, Bressler SB, Bressler NM. The long-term effects of visible-light on the eye. Arch Ophthalmol 1992; 110:99-104. 3. Darzins P, Mitchell P, Heller RF. Sun exposure and age-related macular degeneration—an Australian case-control study. Ophthalmology 1997; 104:770-6. 4. Okuno T, Saito H, Ojima J. 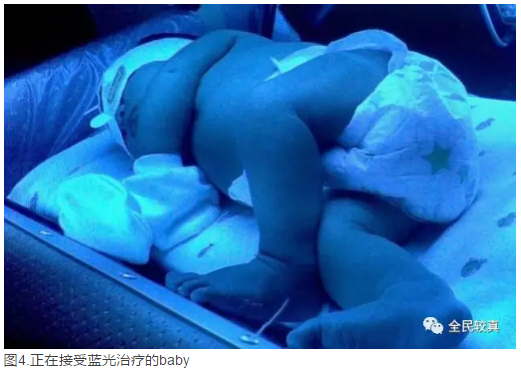 Evaluation of blue-light hazards from various light sources. Dev Ophthalmol 2002; 35:104-12. 完全反对最高票的答案，“Google上没有任何有意义文章？”你的Google是中文的吧。Google中文比百度都差远了。所以，Google上是有很多关于"Blue light, harm eyes"的文章的，比较正确的答案是：长期暴露在蓝光下对眼睛可能有伤害，但是因为电子屏幕产生年代不久，长期的影响人们还看不到。我引用原文。Origin: From an ophthalmologistTwenty five years ago we wouldn’t be having this conversation. We wouldn’t be talking about the way light can damage our bodies, from our skin to our eyes. However, thanks to advances in science and education most of us are aware that certain kinds of light, UV rays specifically, can have harmful effects on our bodies. The “UV index” has even become part of most present day weather forecasts. While many are familiar with the risks of UV rays, very few are aware of the risks associated with “blue light”.At a recent international vision conference in New York, blue light was the “hot topic”. Blue light is the light emitted by digital device and is potentially harmful to the eye. At the vision there was much discussion about educating and protecting the public. As an eye doctor with over 20 years of experience, I would like to start the education process by sharing what I know about blue light and the potential risks it poses to the eye and vision. 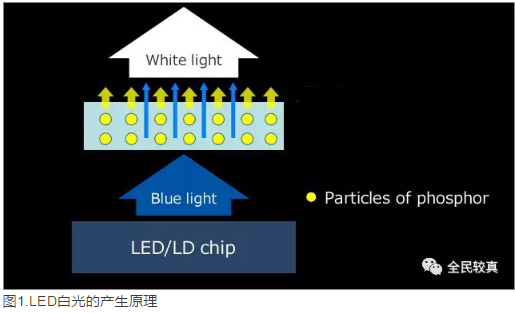 You should understand several aspects about blue light: the science, the health risks, digital blue light sources and who is a good candidate for the technology that protects against blue light.Digital Blue Light SourcesSo what’s blue light, anyway? For starters, sunlight contains 25-30% blue light, so some blue light is natural. Artificial light sources emitting blue light include compact fluorescent lamps (CFL) and LEDs. These are the bulbs which are replacing traditional light bulbs. Interestingly, traditional incandescent light bulbs emit very little blue light.LEDs are found in almost every digital device including computer monitors, tablets, readers and smartphones. Additionally, studies show we hold digital devices closer to eyes than printed materials, typically 12 inches for digital devices as compared to 16 inches for traditional print. This also increases blue light exposure. For younger people the blue light exposure is even higher. Young people typically have larger pupils which allow even more blue light to enter the eye. Not only that, but kids age 8-18 spend an average of 7+ hours day viewing LED screens.The science of Blue LightThis mini lesson in the science of light will be less painful than a sunburn—I promise!Light is described in wavelengths measured in Nanometers (nm). Visible light ranges from about 380 to 780nm and lies between Ultraviolet Rays (UV) -up to 380 nm- and infrared rays over (780nm). We all understand UV Rays cause your skin to tan or burn.The blue/violet portion of visible light, from 380 to 500 nm, is next to Ultraviolet (UV) rays, as shown in the chart below. 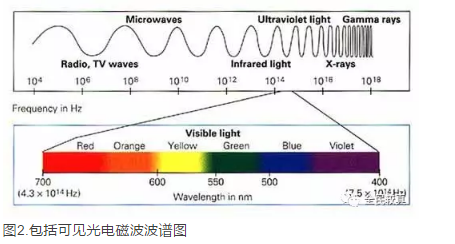 These wavelengths of blue light in the near UV range are sometimes referred to as “High Energy Visible” Light or HEV light.（此处是关于光波和频率的图，以上几个答案有了，就不重复）Image source: Wikimedia Commons, NetKismetTo put it succinctly, shorter wavelengths have higher energy and we know the following:UV Rays causes damage andBlue Light” is adjacent to it it on the spectrum of light andWe are exposed to more “blue light” than ever, especially from digital devices starting from a very young age.That is why this deserves attention.The Health RisksLet’s start with UV Rays. These health effects on the eye are clearly understood. Massive short term exposure to UV Rays causes photokeratitis – which is a sunburn of the cornea – experienced by snow skiers and also called “snow blindness”. It is similar to flash burns experienced by welders that work without proper protection. Prolonged UV exposure, over months and years, can lead to pinguecula and pterygia, which is scar tissue that forms on the white part of the eye that can encroach onto the clear cornea. UV exposure also contributes to cataract formation. Cumulative exposure to UV rays over a lifetime is a factor in skin cancers (especially basal cell carcinoma) around the eye and also age-related macular degeneration or AMD. AMD is the leading cause of legal blindness in the United States. 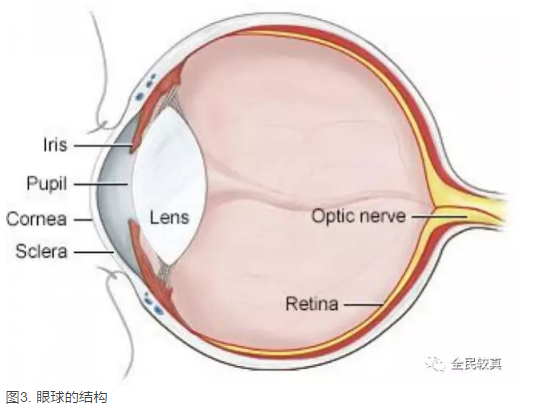 AMD patients gradually loss their central vision and there is currently no “cure”. Bottom line: the effects of UV exposure to the eye and vision can be extremely serious, but what about blue light?Blue light has some beneficial effects on our bodies including regulating sleep cycles, pupil size, and hormonal balance. Lack of natural blue light (sunshine) exposure has been implicated in seasonal affective disorder (SAD), . Since blue light from digital devices is a more recent issue the adverse health effects are less understood. There are data based concerns that exposure to blue light from digital devices may disrupt sleep patterns in young people. Current guidelines recommend discontinuing digital devices 1 hour before bedtime to avoid disrupting sleep. Some researchers feel blue light may cause long term damage to our eyes similar to the UV effects described above, particularly AMD. My personal opinion is that more research needs to be done over time to confirm or rule out retinal damage from HEV/Blue light. It is tricky because these effects can only be measured over a long period of time, therefore the study of blue light is in its infancy. In the meantime, we live in a world that is saturated with screens of all kinds which results in exposure to more blue light than ever. This topic deserves our attention and increased understanding.Recommendations:Everyone should have UV protection on their lenses. Eye damage from UV rays is well understood and often preventable. In our Invision offices we automatically include UV protection in our lenses because we know it is a great and significant step towards protecting our patients’ eyes and vision.Parents should keep in mind that current guidelines for kids recommend discontinuing the use of digital devices one hour before bedtime to avoid disrupting their sleep.Blue light filters for eyewear have recently become available. Typically, they are included as part of anti-glare coatings. They should be considered on a case-by-case basis since the long term eye health effects of blue light are not completely known. There are factors that lead me to recommend blue light filters within a patient’s eyewear, such as:A patient that has a strong family history of macular degeneration (AMD)Anyone who spends many hours each day on a computer or digital devicePatients who have had cataract surgery, as the natural blue light blocking crystalline lens has been removed.I urge you to stay aware about this topic and take a role in your eye health education. Ask your doctor about the latest research on blue light and the current suggested steps for prevention.